Fagor Automation is collaborating in the ECOGRAB project (an industrial system for the recording of diffraction/polarization gratings for use in femtosecond laser encoders) in order to adapt to Industry 4.0 using cleaner and more efficient production techniques. The objective is to “replace the current manufacturing systems that intensively require chemicals with new manufacturing methods that are more sustainable and versatile,” comments electronic engineering specialist Dr. Yago Olaizola following the kick-off meeting with the rest of the project partners at the CEIT-IK4 Technology Center. In order to complete the value chain for the manufacturing of an optical encoder that can be adapted to Industry 4.0, the work will be structured around five tasks distributed equally among the involved partners. On the one hand, the Complutense University of Madrid (UCM) will be responsible for the design, dimensioning and characterization of the encoder; the Polytechnic University of Catalonia (UPC) and the manufacturer of optomechanical systems, SnellOptics, in turn, will collaborate on the design and optical prototyping of processes for femtosecond lasers; meanwhile, the laser group at the CEIT-IK4 Technology Center will carry out the manufacturing processes with femtosecond lasers, as well as the mechanical design and integration alongside Fagor Automation, which will also be in charge of validating the new prototype. 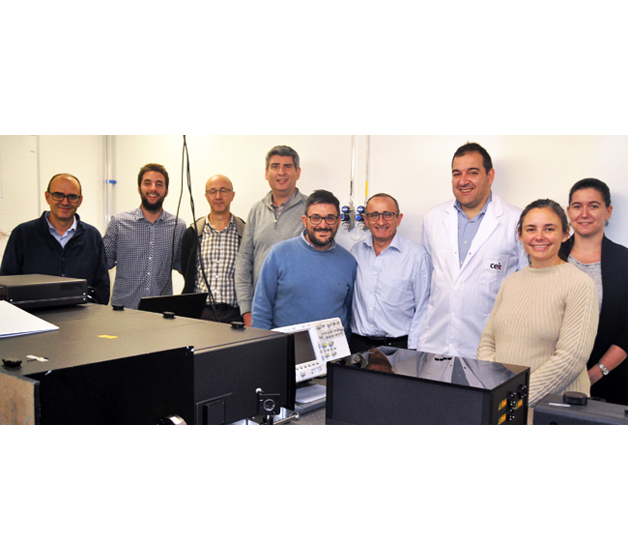 In this way, photolithographic processes in large companies that use chemicals, some of which are pollutants, may be replaced by this methodology from the ECOGRAB project. This technique, based on femtosecond lasers, is chemical-free and therefore more environmentally friendly.